9th North Watford Cubs used litter pickers provided by the local council to collect nearly twenty kilograms of rubbish from Woodside Park. The litter picking session was part of a sequence of activities helping the cubs obtain their community badge. Earlier this year the cubs visited elderly residents from Dale Court to help, which was very well received by the residents. 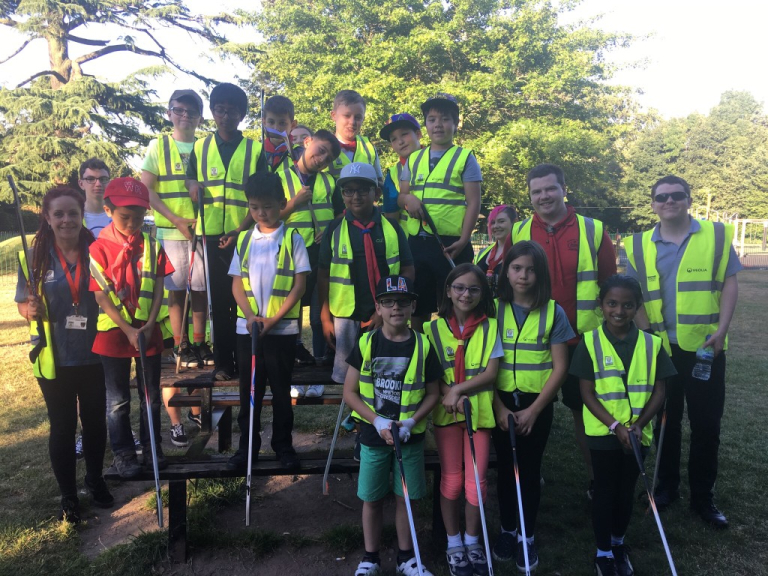 Watford Borough Council in partnership with Veolia, who is responsible for waste collections, streets and parks maintenance services, arranged for the cubs from the 9th North Watford Scout Group to litter pick in their favourite park Woodside Playing Fields.